One of the staples in our playroom for encouraging imaginative and open-ended play is our ever-growing collection of Safari Ltd. TOOBS. The detail on the figures are unbelievable, but I especially appreciate that each figure has its name written on it. So I no longer have to guess the names of specific dinosaurs or fish or frogs when questioned by the kids. Plus, the boys love playing with them. So here are ten ways to play and learn using Safari Ltd. TOOBS! 1. Arctic Small World Sensory Bin - Blue water beads, ice, real snow, and the Arctic TOOB make this small world sensory bin chilly and so much fun. 2. Magnetic Roads - This busy bag activity is perfect for pairing with the On the Road TOOB! And since it's portable, you could easily take it on the road with you. 3. Felt Castle Play Tote with Knights and Dragons - Here's another great portable activity. And it's a perfect castle to pair with the Knights and Dragon TOOB. 4. Music Sensory Bin - Inspired by the keys of a piano, I put together this sensory bin for the boys to learn about musical instruments. The Musical Instruments TOOB worked perfectly in this bin! 5. Frog Pond Small World on the Light Table - My boys adored this small world on the light table. They had the frogs from the Frogs and Turtles TOOB hopping around like crazy! 6. Dinosaur Dig Sensory Bin - The boys loved getting messy with this fossil dig sensory bin and loved looking at the skulls from the Dinosaur Skulls TOOB. 7. No Sew Portable Road Play Set - Here's another one of my favorite busy bags. It works great with the On the Road TOOB, but I also used the barn from the Down on the Farm TOOB. 8. Bugs by the Numbers Sensory Bin - Learn about bugs and numbers with this book-inspired sensory bin. 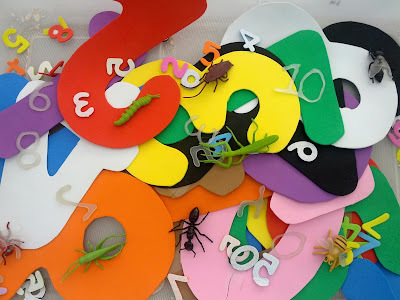 Using the Insects TOOB in this sensory bin was a great way to learn about insects. 9. 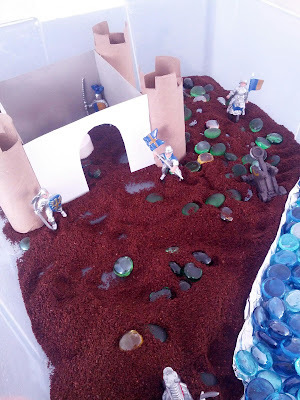 Medieval Sensory Bin - This medieval sensory bin was so much fun to create! J especially loved dragging the dragon from the Knights and Dragon TOOB through the "dirt." 10. Arctic Small World on the Light Table - I promise that this small world only takes a minute or two to set up! Especially if you already have the Arctic TOOB on hand! This giveaway is open to Canadian and US residents that are over the age of 18. The giveaway will close on March 7, 2014 at 11:59 PM. The winner will be announced on March 8, 2014 on the blog and on our Facebook page. What a phenomenal giveaway! Thanks for the opportunity! If we won, I think we would choose the Pets Toob (because my little guy loves all of those animals) and the Bundles of Babies Toob, so that I could introduce him to babies prior to his new baby sibling getting here! Oh and you totally have a baby themed week planned don't you?! Those babies would be a perfect addition! There's just too many awesome ones to choose from, aren't there?! Good luck! Yay, an awesome giveaway!! Thanks!! I think we'd like steam trains and the trees TOOBs! I knew you'd go for the trains! The trees TOOB looks great too! We have several of these TOOBS and love them all! Thanks for all the wonderful ideas for putting them into play! If I won, I would choose the arctic one (suits our current situation) and the dino babies (my kids are wild about dinosaurs right now!). Ha! We totally do live in the Arctic it seems! We have both those TOOBS and love them both! Wow! Thanks for the chance at this great prize! I would definitely choose the Arctic TOOB (I'm pretty sure we have many weeks of "arctic themed" sensory opportunities ahead of us sadly) and the Knights and Dragon TOOB! Thanks again! Yeah, this winter has been crazy cols and long! We have both those TOOBS and LOVE them!! I found you through Devany LeDrew, and have quickly grown to love your blog.J have a 4.5 year old boy (former 29.5 weeker with hydrocephalus and mild CP) and 3 year old. We do a LOT of homeschool preschool and love new and exciting ideas :) What an awesome giveaway! I would love ALL of the TOOBs! Oh YAY! Devany is such a sweetheart! Thanks for entering! I just started putting together sensory bins for our preschool Sunday School classes and have used several of the Toobs. The kids live them! I think the rainforest and African village ones look very interesting! but all of them look fun. I wish there were Bible-themed Toobs! Fun choices! I will pass the word along that there is interest in a Bible themed TOOB. Good luck in the giveaway! I'd love the Insects and the On the Road TOOBs for my 2.5 yo! I'd like Ancient Fossils and Dinosaurs Skulls for my daughter. Good luck! The dinosaur skulls are really cool! My now 8 year old soon loved Toobs and now my 3.5 year old daughter plays with the ones we still have. One of the ones we have is the medieval toob and my daughter incorporates those into her horses! I never thought of doing sensory bins with toobs! Great idea! TOOBS are perfect additions to sensory bins! Good luck! I just learned about all of the wonderful learning opportunities of TOOBS! My 2 ½ year old daughter would just love them! We would start with Down on the Farm and Trains. Both favorite thing of my daughters at the moment! 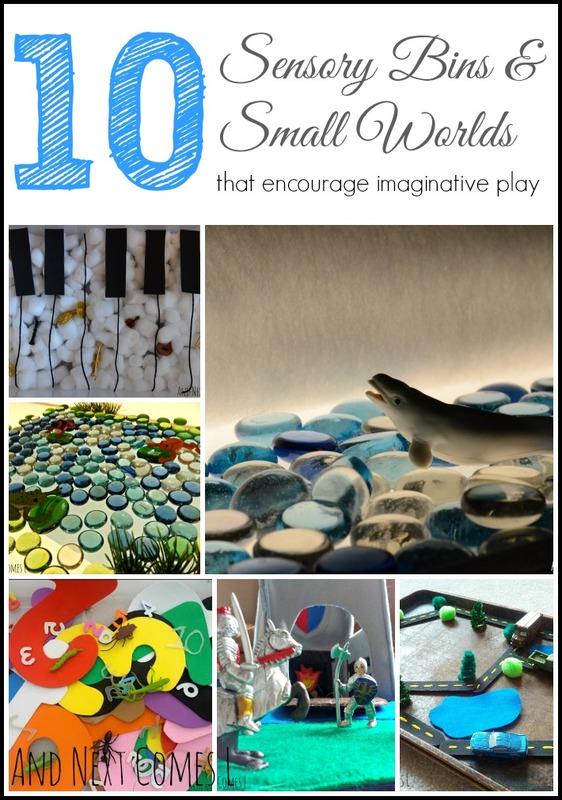 Thanks for this wonderful giveaway and great ideas for small world play! Oh yes, the learning opportunities are endless! The farm and train TOOBS are awesome! Good luck! My daughter who has a special need will be so happy to have the insect and artic TOOBS. She was diagnosed with autism but with the help of speech and ABA therapy she has made progress, and also we did a lot of activities from blogs such as yours, your ideas are truly inspiring. She's into pretend play now so when we studied about artic animals she ask me if we can buy it from the store but i told her it was expensive. Best of luck to everybody! I'm so happy to hear that you have found some therapies to help your daughter! And I really wish you luck in the giveaway! Oooh, the penguins one would be fun! Good luck! Awesome giveaway!! Its so hard to choose! MB would LOVE the North American Wildlife, the Artic, or In the Sky one... and many more! :) Fingers crossed! We just got the North American one! It's cute! I love your page and thanks for the giveaway! I would choose the arctic & insects giveaway for my son...also like on the road too,ita hard to choose, they are all great! It is so hard to choose, isn't it?! There are so many TOOBS and they all look amazing! I would love some Ocean themed ones! Both great choices! Thanks for entering! Thanks! There's so many fun ways to play and learn with these TOOBS! !